So many IoT cat toys… so many security flaws. But it’s still interesting to survey the landscape! Where, oh where, PetNet.io do you state what data is being collected by your IoTDevice-App-Service-SmartHome Integrating web 3.0 nightmare device? No where. That’s where. AAAAACCKKKK! Make you own Crashers, make your own. So many cat projects profiled on Hack-a-Day and Instructables… so so many. 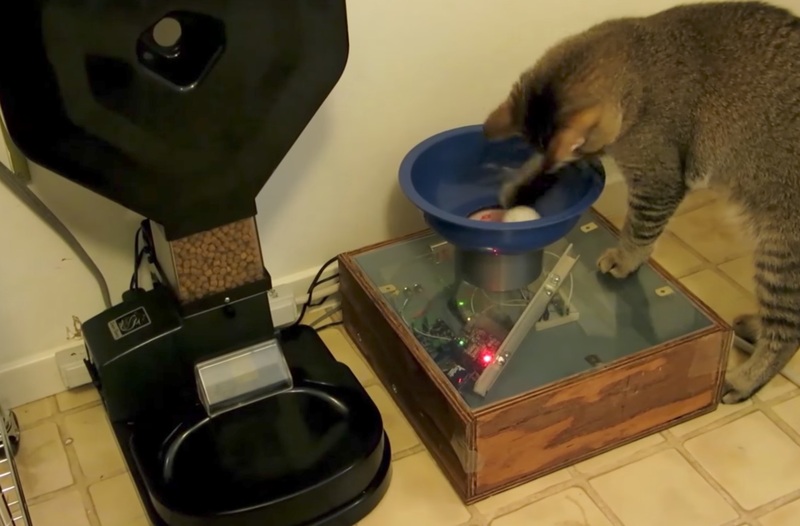 Special mention should go out to Benjamin Millam for using electronics to get his cat to hunt for his food. Cat Toys were a major inspiration behind Making Things Talk by Tom Igoe. 3rd Edition is coming out! Adobe ceasing support for FLASH is excellent security news. You shouldn’t have that installed anywhere on your computer!